Between the fresh mountain air, ample sunshine, growing startup scene and the progressive image that was strengthened after the legalization of recreational marijuana, it’s no wonder why young adults are flocking to Denver. 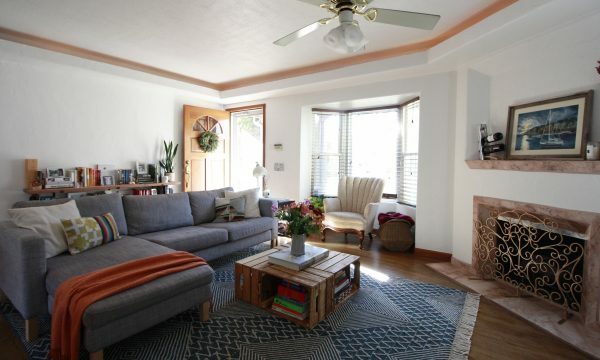 Meg Schubert, an architect who’s married to architect Drew Allen, shared the couple’s homebuying journey to purchasing a two-bedroom condo in the Mile High City. 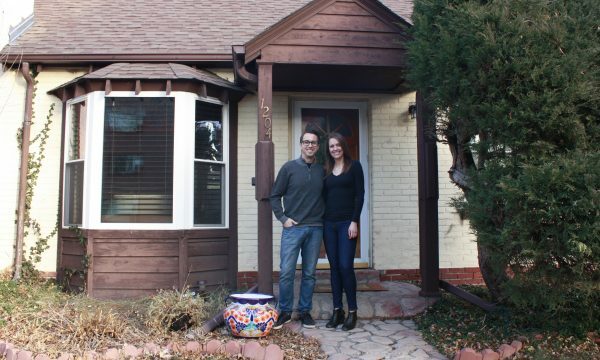 Meg Schubert and Drew Allen recently bought a condo in Denver. What brought you to Denver? Drew and I met at college in Tucson. We knew we wanted to move after graduation, so we compared our lists of cities and they were identical. We were most interested in Seattle, New York City, Portland and Denver. As architects, we knew we wanted to live in a vibrant urban area with access to the outdoors. We visited Denver a couple of times and fell in love with the culture. Everyone loves being active and outside year-round, and it’s really hard to beat having the Rocky Mountains in your backyard. We also have friends and family in Fort Collins, so we took a risk and both moved to Denver without jobs. Why did you decide to buy a home in Denver? For the first four-and-a-half years, we rented separately and moved into an apartment together after we got married. I had been moving every year due to continual rent increases, not-great apartments or poor management companies. After about 18 months of being married, we started thinking about looking into buying a home. We knew it was a seller’s market, but we were sick of moving and preferred to invest money into our own home. Home values were increasing, and if we were smart about it, we could get a lot of equity. Walkability was one big priority that we weren’t flexible on. We are a one-car household, and we’ve always lived walking distance to parks, restaurants, grocery stores, etc. I’ve always taken a bus to work, and Drew bikes to work. We could have gotten a larger single-family home farther out of the city, but we were willing to sacrifice size for location. As architects, we’re always thinking about neighborhoods. We lived in Capitol Hill when we were renting and loved that area, but it was out of our budget in terms of buying, so we looked at surrounding neighborhoods. We wanted to be somewhere lively — with restaurants, coffee shops, local boutiques — and close to parks so that we could take our 6-year-old black Lab for runs. We wanted a minimum of two bedrooms and weren’t scared of a place that needed updates as long as it was functional. We were excited about fixing up a home to fit our style. Denver’s real estate market was a little crazy when we started thinking about buying. Homes were selling in a day, and almost always above asking price. We wanted to make sure we had all our ducks in a row before looking at places. Before we were officially looking, we would casually go to open houses, and that gave us a realistic idea of what things were going to cost. It gave us good background and made us more comfortable with open houses. Our friend, who was formerly a Realtor, recommended one of her Realtor friends to us. We met with this Realtor for coffee in March 2017. Our lease at our rental was through the end of May, so we had a few months and had some money saved to have a little overlap on mortgage and rent if we found a home earlier. The following week we interviewed loan officers and selected one that we felt at ease with. He got us preapproved for a loan within a couple of days, and we were ready to start looking the following weekend. On Saturday, we saw two or three homes, but they were a little farther out, so they weren’t going to work for us. On Sunday, we saw four places — a mix of condos and townhouses — and decided on the first condo we saw that day. The couple looked forward to tackling renovations in their new home. How did you know it was the one for you? The location was a huge factor. We ended up in Bellevue-Hale, a smaller neighborhood that we had never heard of. It’s a hidden gem sandwiched between other great neighborhoods, but it’s much more affordable. It was close to work, three different parks, regular bus lines, tons of shops and restaurants, Trader Joe’s and best of all, a great development is happening nearby. It’s a highly anticipated project that we know will boost the value of the surrounding neighborhood. I also really liked the complex. It’s technically a condo but doesn’t feel like one. You share walls with neighbors, but it doesn’t feel like an apartment. It’s a nice balance between apartment living and a single-family home. It has a private back patio and shared backyard. Being architects helped us look beyond the surface and see potential. It was a little dated — periwinkle walls, a pink marble fireplace and funky bathroom tiles — but you could tell it had been well taken care of, and we were excited to tackle the renovations. I’m a big believer in the 50/30/20 rule. When I was living on my own, I tracked my short and long-term goals, net worth and what I could afford on rent. Before we got married, Drew and I talked about finances and identified goals, such as travel and buying a home. Now, we have similar approaches to saving. We had a budget range of $300,000 to $315,000 for the home, factoring in the down payment, insurance, closing costs, appraisal, inspection and more. We worked with an awesome Realtor team and loan officer who helped us identify that upper budget limit. It was surprising how smooth the actual purchasing process went. The bumps actually happened after we moved in. The seller purchased a home warranty for us as part of the closing agreement, which was a nice gesture, but it ended up being a pain. Within the first month, the dishwasher broke, and it took longer to fix because you have to use their repair people and there is paperwork. Looking back, we might not have done the home warranty. But we’re happy with our decision to purchase when we did. The value has already gone up. What advice would you give to someone looking for a home? Be honest with yourself about what you need versus what you want and what you’re willing to compromise on. If you go into the process understanding you’ll compromise in some way, you won’t be discouraged too quickly. Give yourself adequate time to look. We got very lucky with how quickly we found our place, but I know plenty of people who spent months looking or put in multiple offers that didn’t land. It was better for us to have a big overlap with our rental place and the mortgage, so we could have time to paint and organize rather than rush to buy and move. Research neighborhoods before you start looking. Walk around, think about how you would live there and visit the coffee shops and parks.